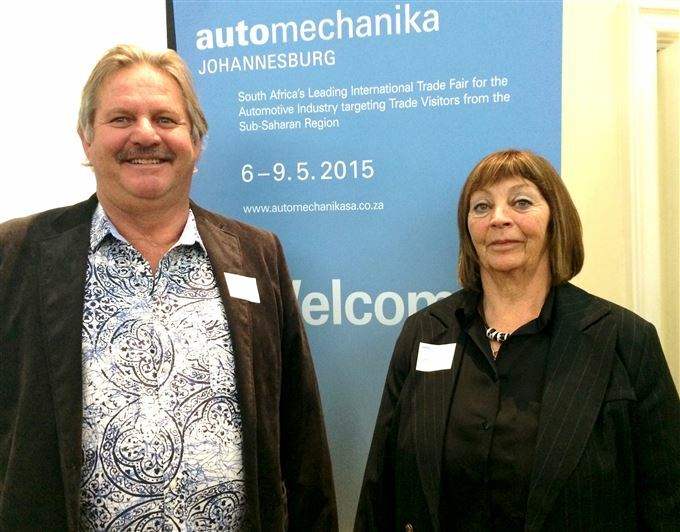 At a press briefing held today, it was officially anounced that Automechanika Johannesburg 2015 will take place at EXPO centre from 6-9 May 2015. The breakfast launch was opened by Roger Houghton who introduced Pula Dippenaar and keynote speaker Clem Sunter. Speaking at the launch event, Dippenaar emphasised the importance of South Africa’s ongoing staging of this globally recognised automotive show, and highlighted this country's continued essential position, as the gateway to the African market. The organisers of the show were getting the events planning started early which included travelling to, and garnering support from, other SADC countries. Sunter spoke extensively about his belief that while SA remains the powerhouse of the continent, this will only be maintained with governmental assistance and encouragement of South African entrepreneurship. He highlighted the fact that for too many South Africans, labour laws are a major stumbling block to employing larger numbers of staff into existing small businesses, hindering the job creation potential. His contention is that a million entrepreneurs are needed to create the 5 million all the politicians are talking about - but this was unlikely in the face of current policy. He re-iterated his published opinions from his “Mind of a fox” series of books. Business has to be prepared for multiple scenarios - and the ability to react rapidly as those scenarios unfold, in order to succeed and grow in an era of generally flat economic growth.